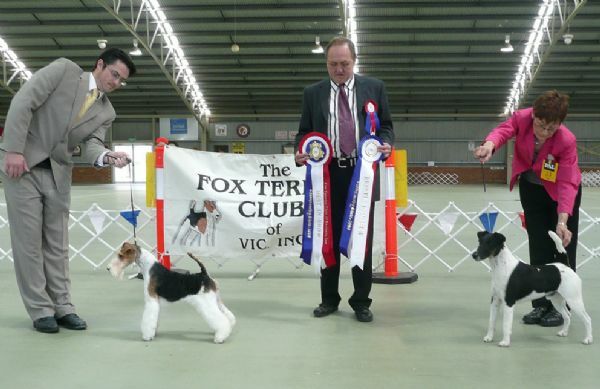 At left: BOB Wire and Best in show, S. Goodwin and P. Luyten's Aust/Int/Hun/Ger/World Ch. Agria Alexander (Imp. Hungary) handled by Peter Luyten. 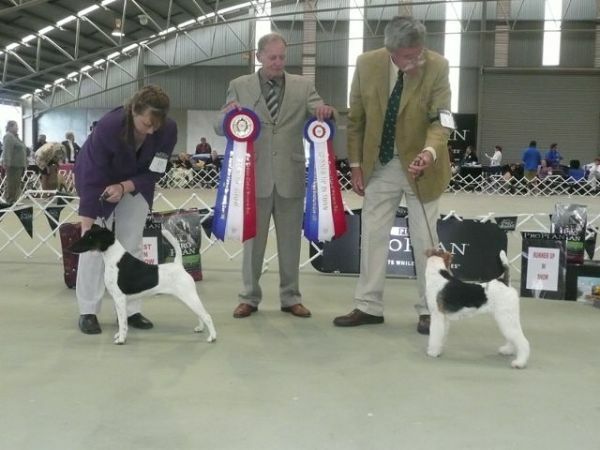 At right: BOB Smooth and Runner-up Best In show, Mr and Mrs P. Browne's Optimo Ona Jetstream (AI) handled by Jan Campbell. Judge Mr. Luc Detry (Belgium). AM show. Judge Antonia Thornton (Watteau, UK) total entry 73. At left Best in Show: P. & M. Browne's Ch Optimo Ona Jetstream (AI) handled by Jan Campbell. 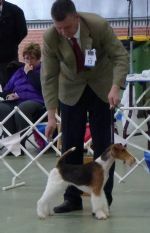 Runner up in show Graebrook Kennels, Ch. Graebrook Enough Said handled by Robyn Price. PM show. Judge John Foster (Kinnego, NZ) total entry 73. 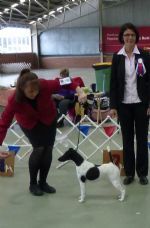 Runner up in show Goodwin & Luyten's Ch. Dalwyre Dragoon handled by Peter Luyten. At left: FTCV 2009. 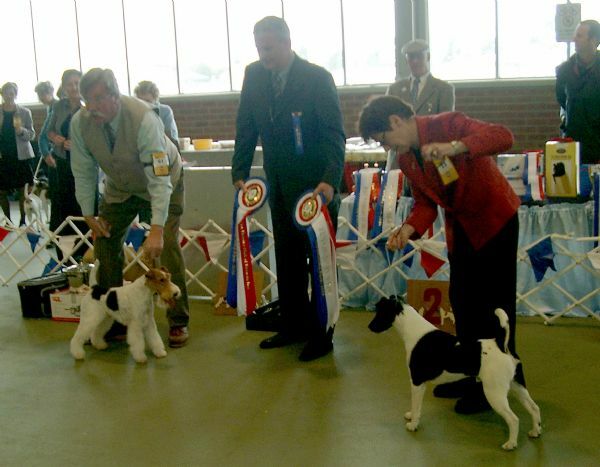 Best of Breed Wire Fox Terrier and Best in show,Christophe and Leanne Duval's Blackdale the Queen, handled by Christophe Duval. 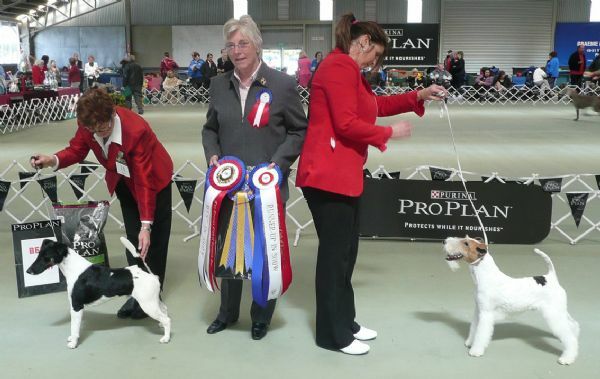 At right: Best of Breed Smooth Fox Terrier and Runner-up Best in Show, Mr and Mrs P. Browne's Ch Optimo Ona Jetstream, handled by Jan Campbell. Judge Mr. Benny Blid Von Schedvin (Sweden). 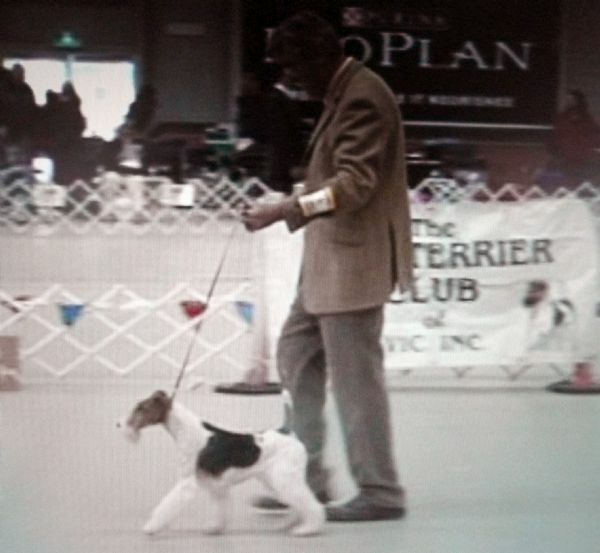 Best in Show FTCV 2010. Judge Mrs Patricia Broom (Roxway - UK). 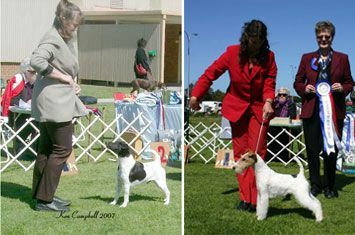 Goodwin & Luyten's Wire Fox Terrier Ch Dalwyre Dragoon. Handled by Peter Luyten. 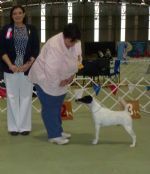 2010 FTCV Championship show. Judge Mrs Patricia Broom (Roxway - UK). 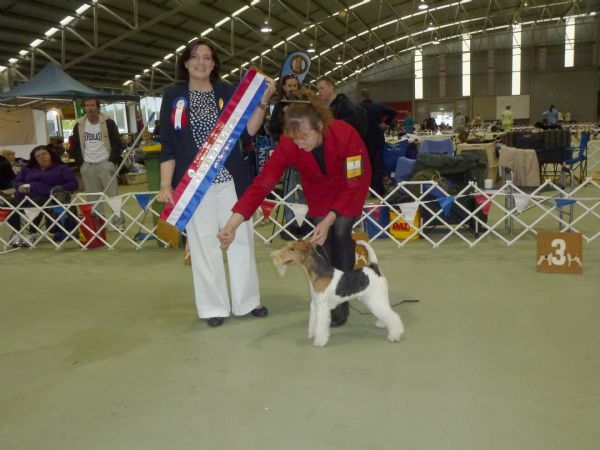 Ch Optimo Ozzie Sunrise (AI). 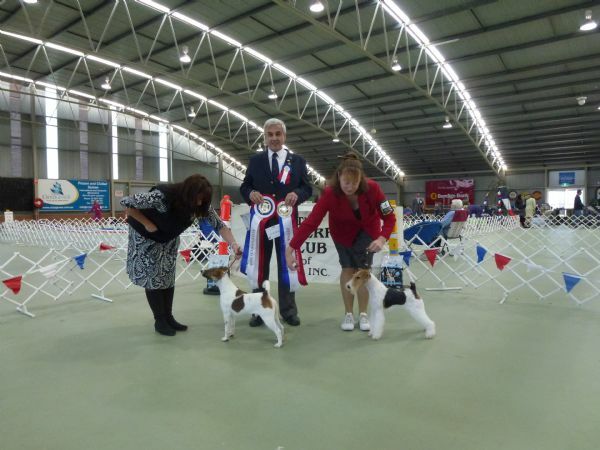 Best of Breed Smooth and RUIS, handled by Jan Campbell. 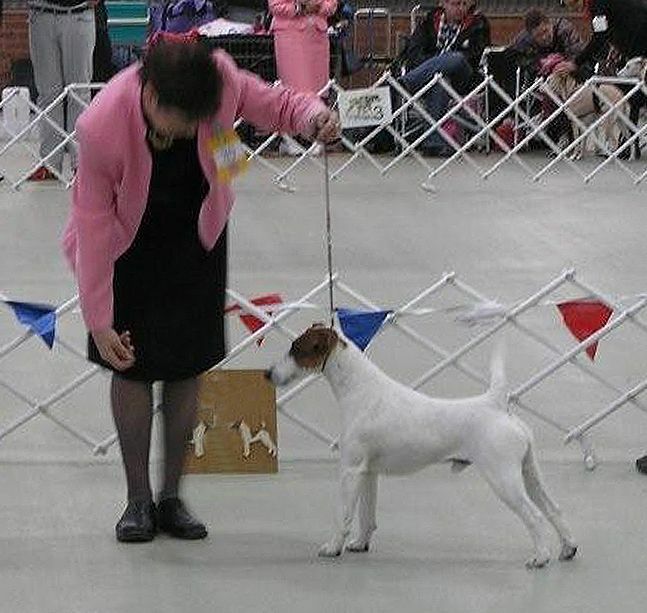 Best in Show FTCV 2011. Judge Dr. Carola Mohrke (v.d. Bismarckquelle - Germany). Graebrook Kennel's Smooth Fox Terrier Ch Skeldale Shadow Ways. Handled by Cinnamon Clark. RUIS FTCV 2011. Judge Dr. Carola Mohrke (v.d. Bismarckquelle - Germany). D. Geoghegan's Wire Fox Terrier Warigalire Carisma. Handled by Damian Geoghegan.